There are rules for dealing with ghosts. Too bad Ree Hutchins doesn’t know them.When her favorite patient at a private mental hospital passes away, psychology student Ree Hutchins mourns the elderly woman’s death. But more unsettling is her growing suspicion that something unnatural is shadowing her.Amateur ghost hunter Hayden Priest believes Ree is being haunted. Even Amelia Gray, known in Charleston as The Graveyard Queen, senses a gathering darkness. 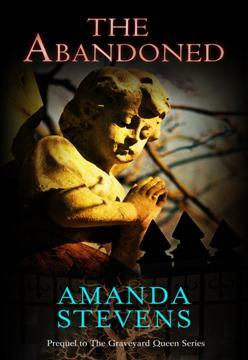 Driven by a force she doesn’t understand, Ree is compelled to uncover an old secret and put abandoned souls to rest—before she is locked away forever….